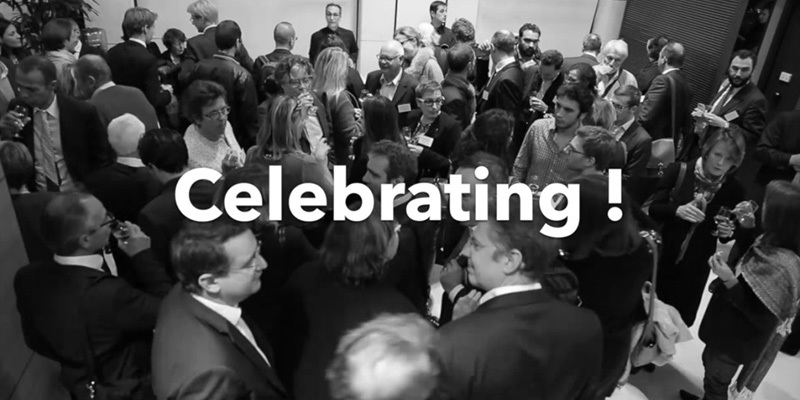 It wasn’t a regular Tuesday evening, November 24th, when more than 200 people gathered in Paris to celebrate the 2015 Blue Awards. The energy was palpable. The anticipation was great. Professor Renée Mauborgne, co-author of Blue Ocean Strategy, captured the room’s attention when she mounted the stage and noted that while 95% of businesses in the OECD are SMEs, their contribution to GDP hovers at only 54%. Why the discrepancy? The tone was set. Small and Medium size Enterprises (SMEs) are the backbone of the French economy, though many fail or have stunted growth due to the intense competition they are up against in the red ocean of similar offerings. 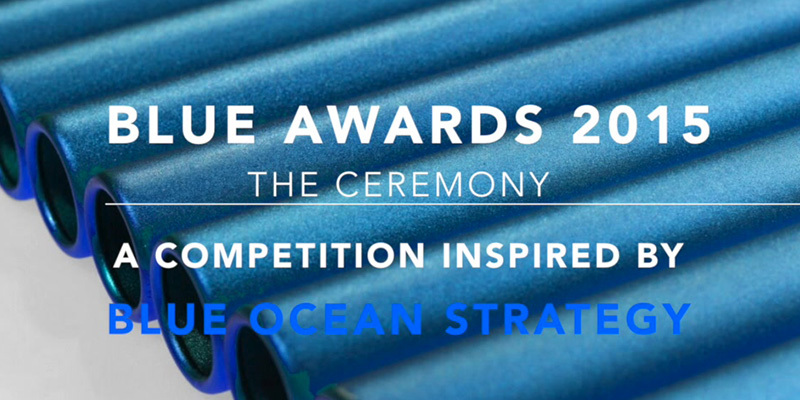 This is exactly why the Blue Awards were created: to reward and stimulate innovative entrepreneurship, inspired by blue ocean strategy. In our challenging economic climate the pursuit of blue oceans is now more relevant than ever to close that gap and strengthen the ability of SMEs to grow into the next large companies of the French economy. 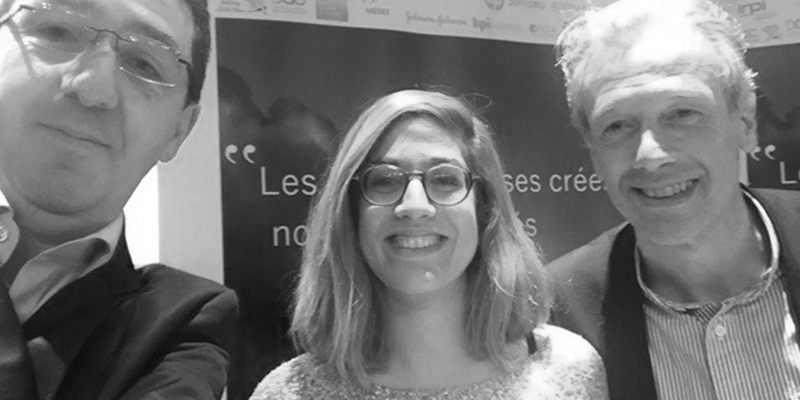 Organised by HEC, a leading business school in France and AXESSIO, a consulting firm, the Blue Awards have now successfully completed its second edition. 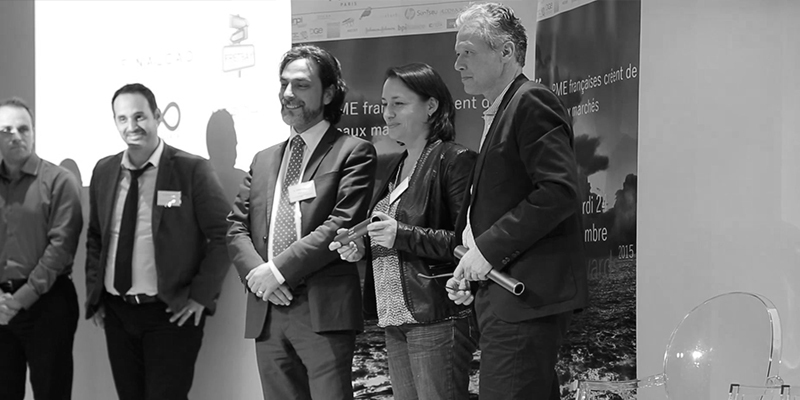 More than 200 people attended the event, which was hosted by MEDEF, a leading network of entrepreneurs in France. Of their 750,000 member firms, 90% are SMEs. They make it their mission to defend and promote French businesses of every size and in every sector. In our challenging economic climate the pursuit of blue oceans is more relevant than ever. 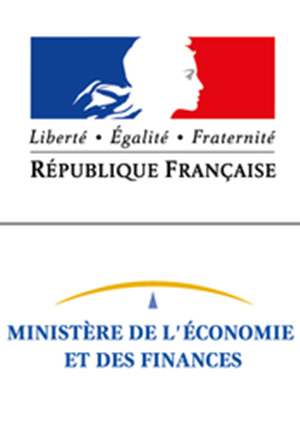 The French Ministry of Economy endorsed the Blue Awards, placing them under the high patronage of Axelle Lemaire, State Secretary in charge of Digital Innovation. This strong support from the French Government shows the growing interest for this event that aims to stimulate the French economy. 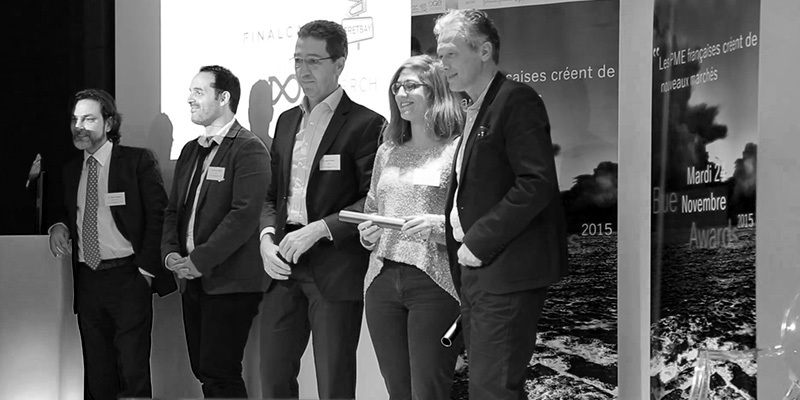 A jury of recognized experts driving innovation selected ten French SMEs from over 130 candidates coming from a wide range of sectors such as banking, biological lighting, delivery, data storage, crowdfunding platform…etc. The day of the final competition started with a discussion and workgroup on blue ocean strategy. The aim was to provide intellectual and practical input into how every French SME could up their game to penetrate the blue ocean, strengthen their strategic moves, and build a stronger enterprise with a brighter future. Compte Nickel, a bank account that you can open in five minutes in any news agency. 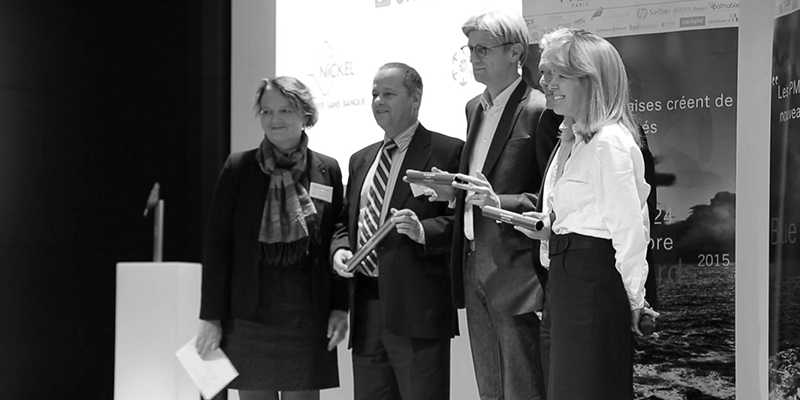 In accepting the awards, all of the winning companies described how their ideas created Value Innovation. To demonstrate this, all the winners used two powerful blue ocean analytical tools: the Four Actions Framework and the Eliminate-Reduce-Raise-Create (ERRC Grid) to showcase how their offerings helped them achieve both differentiation and low cost to stand out in the marketplace and create a win for buyers and the company itself. In addition to the Blue Awards for established companies six awards – Baby Blue Award as they call it – were given to start-ups that are were judged to be sailing fast towards blue oceans. Data&Data, a system that tracks counterfeits on all media types. 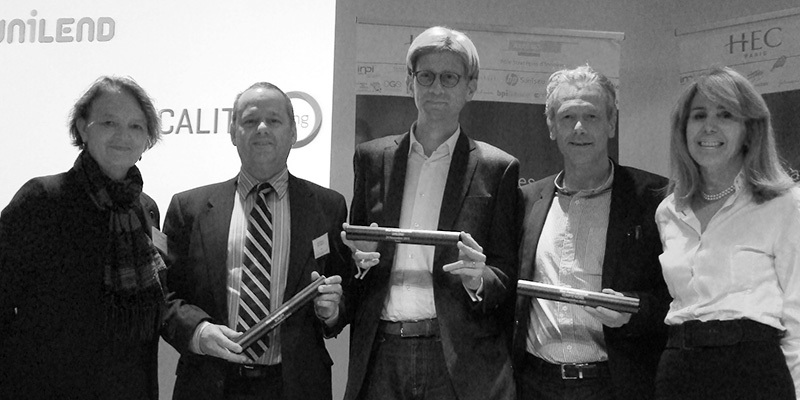 Additionally, to recognize the growing importance of social innovation to our economies, a special Baby Blue Social Innovation Award was presented to start-up NaturalPad which develops health-related serious games. As a refreshing conclusion to the ceremony, the competition this year was broadened to college students at HEC. 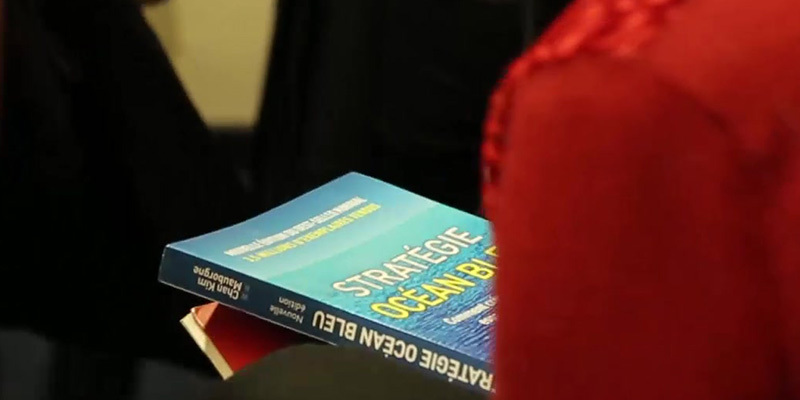 There HEC Paris students majoring in Digital Entrepreneurship, and their Director, Stéphane Madoeuf, applied blue ocean strategy to develop projects with the best final blue ocean strategy projects presented before the entire audience. Students explained how they were inspired by Blue Ocean Strategy to launch a number of strategic moves including Mamie Touille, a program near and dear to the French heart and love of French food that connects elderly women with younger people to pass down the secrets of traditional French cooking. Yummy! These young students inspired the entire audience with their passion to sail into blue oceans. 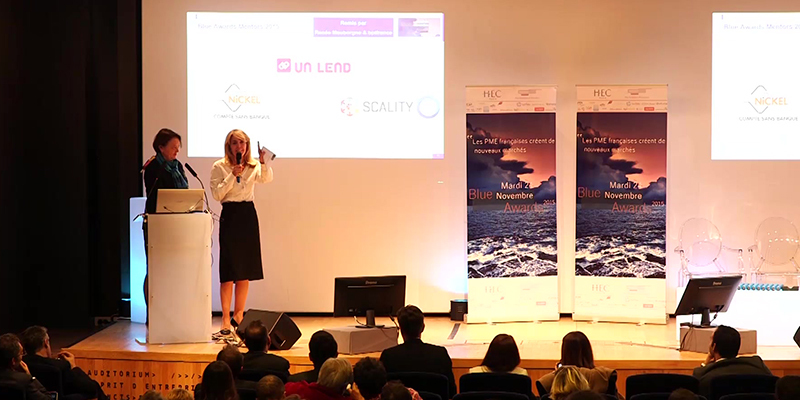 The Blue Ocean Strategy team congratulates all of the 2015 Blue Award winners and the organizers of the Blue Awards competition and event, AXESSIO and HEC Business School Paris. 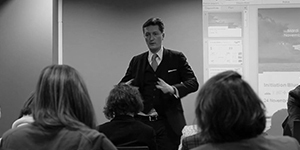 Rendez-vous next year in November 2016 for the third edition. Date coming soon!